Documents are files of nearly any format (text files such as DOC, RTF, TXT; image files such as JPG, PNG; others including PDF, MP3 and video files in the format the format FLV, WMV, MOV, MP4, MPG – MPEG that can be attached to nearly any form within the program. 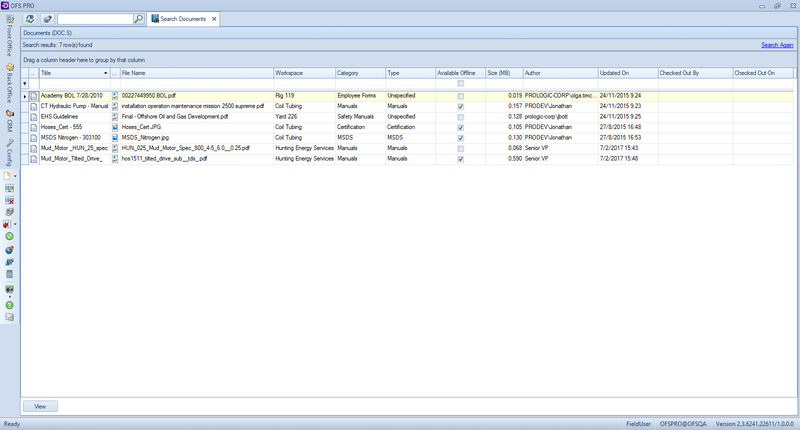 Workspace – Specify a workspace to search in. Category – Specify a document category. Type – Specify document type. Text – Enter text to search for. Search – Select a search type from the list of available search methods. Include archived documents – Search for information in the archived documents as well. After specifying the search conditions, click the Find button to start the search. The grid is then updated with the search results. To clear the previous search results and the previously-specified search criteria, click the Clear button. You can also save your view.